﻿Scholarship today is often a cooperative, interdisciplinary endeavour. While this is especially true for scholars of climate change, until recently there was no online (or offline) network that connected climate historians. In 2010, professors Dagomar Degroot and Sam White founded the Climate History Network (CHN) to accommodate this need. 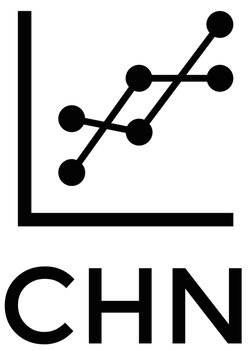 Today, the CHN connects nearly 200 academics in many disciplines, from many countries. It encourages more collaborative and interdisciplinary teaching and research in climate history. It offers links and resources for professors, teachers, students, and interested lay people. The CHN It is part of the International Congress of Environmental History Organizations, and holds regular meetings at the annual conferences of the American Society for Environmental History (ASEH). It also hosts annual climate history workshops at Georgetown University, in Washington, DC. Its administrators are planning a major conference dedicated to past relationships between climate change and conflict. CHN programs are made possible through financial support provided by Georgetown University and the Georgetown Environmental Initiative. Its listserv is hosted by Ohio State University. It does not have any political affiliation. Membership is free. If you are interested in joining, please fill out the short form available here. For more about the CHN, click here.